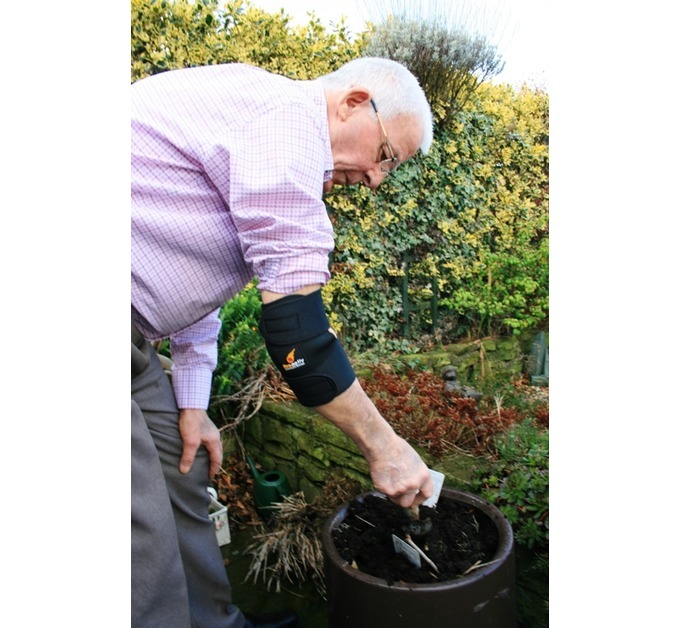 A Fireactiv thermal elbow support needs no batteries, has no wires and can be used time and time again by harnessing the natural power of nature. 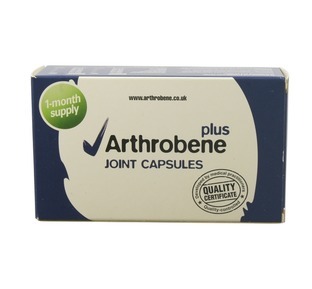 The support uses inbuilt technology in the form of bio ceramic particles. 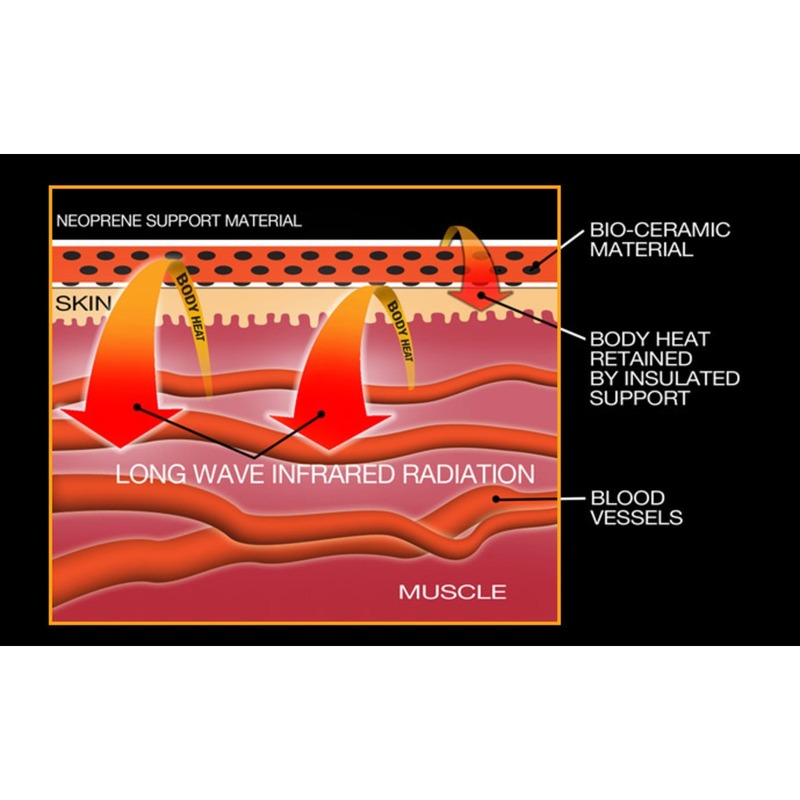 These particles reflect back the natural infrared heat from your body back into the muscle and joint beneath one of the special Fireactiv pads that you place into your support. 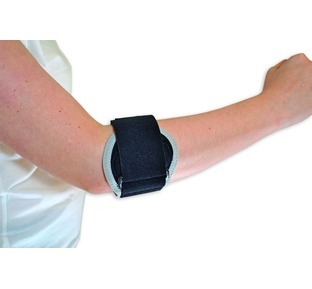 Your elbow support is supplied with a fast acting red pad and a white slow release pad. 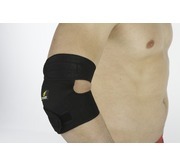 These can be interchanged to suit your requirements. During the manufacture of your support, special bio-ceramic particles are fused into the fibres of the pads. 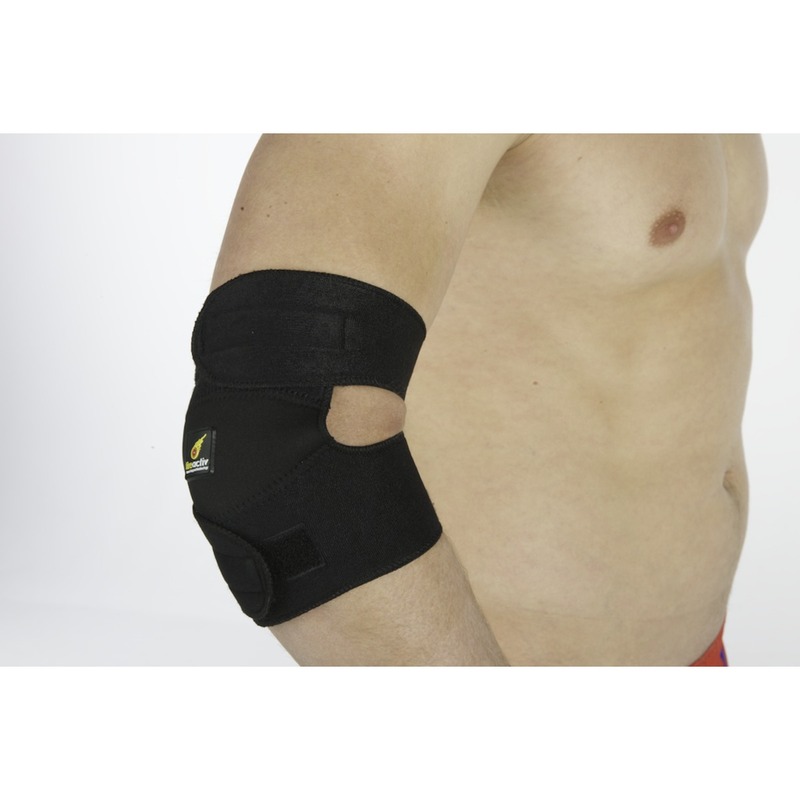 When worn against the skin the long wave infrared radiation is reflected back into your elbow and surrounding ligaments, tendons and muscles to create heat. 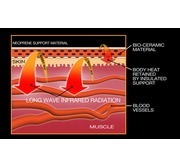 This natural heat helps to reduce pain, particularly helpful with the pain of arthritis, tennis and golfers elbow and additionally helps speed up the natural healing processes within your body by increasing blood supply and thus oxygen to the affected area since the infrared heat helps to dilate your blood vessels. 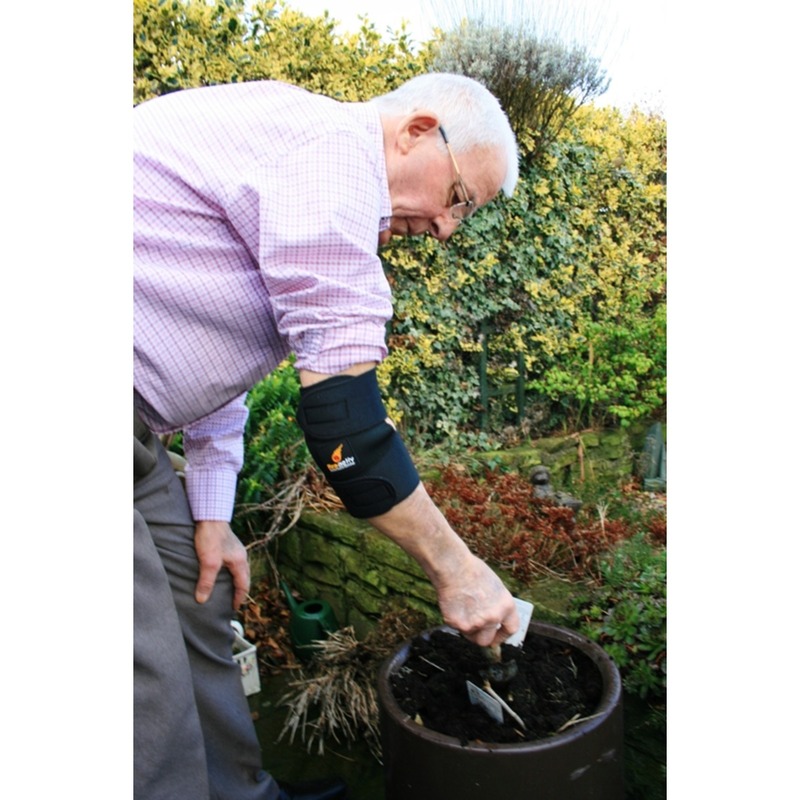 FireActiv for Arthritis - your elbow support can be used alongside your daily routine and is an ideal drug free complimentary therapy to other arthritis treatments. Fireactiv for Repetitive Strain Injuries (RSI) - RSI can present as pain, tightness, ache and a throbbing type sensation to the elbow. 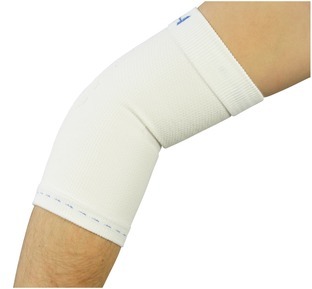 The support offers both elbow joint support and stability via the compression and a soothing warmth over the area which can assist with pain relief and tissue healing. FireActiv for Tennis elbow & Golfers elbow - Your elbow support is extremely comfortable to wear all day providing you with the additional benefits of a continous soothing deep heat which helps promote an increased blood supply to help reduce the pain and inflammation and thus helping towards a speedy recovery. 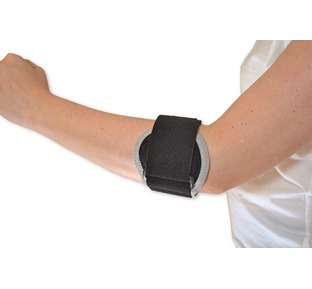 With a straight arm measure around your elbow at the level of the crease in your elbow.